The Joy Formidable started off the evening at 7:00, with a simple stage setup. All three members of the Welsh trio walked on stage with smiles on their faces, and immediately started into “This Ladder Is Ours.” Despite the simplicity of the stage, they lit it up, with their genuine attitudes and the way they played - full of energy and enthusiasm. Their sound filled the room, and they caught the attention of everyone. 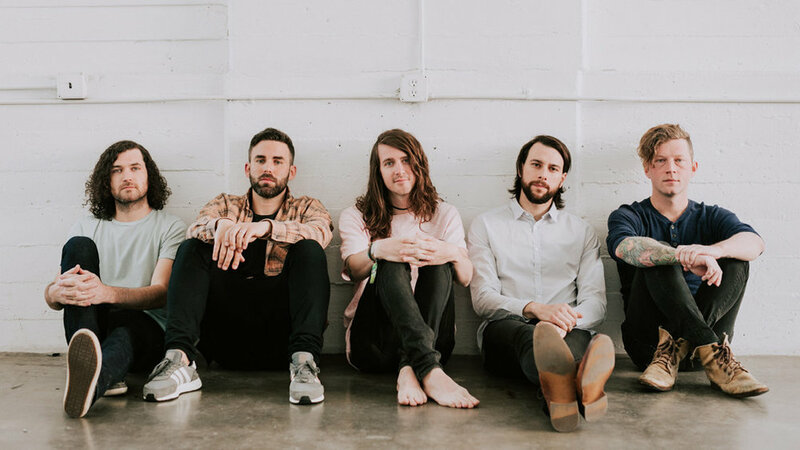 A lot of bands who are “opening” acts tend to get overlooked, as not many people do their research and listen to their music before the show. 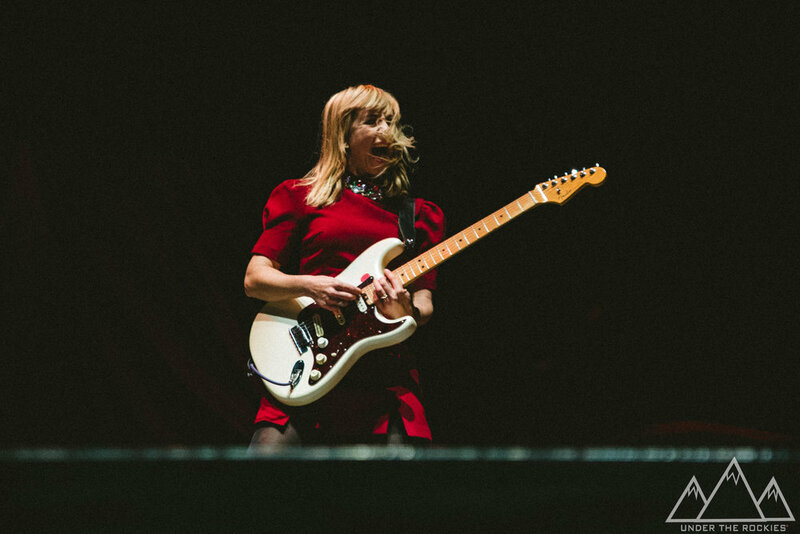 The Joy Formidable is a band that you may have not heard of before this concert, but one that you should remember. Familiarize yourself with them, and you’ll have a deeper understanding and appreciation for their music. 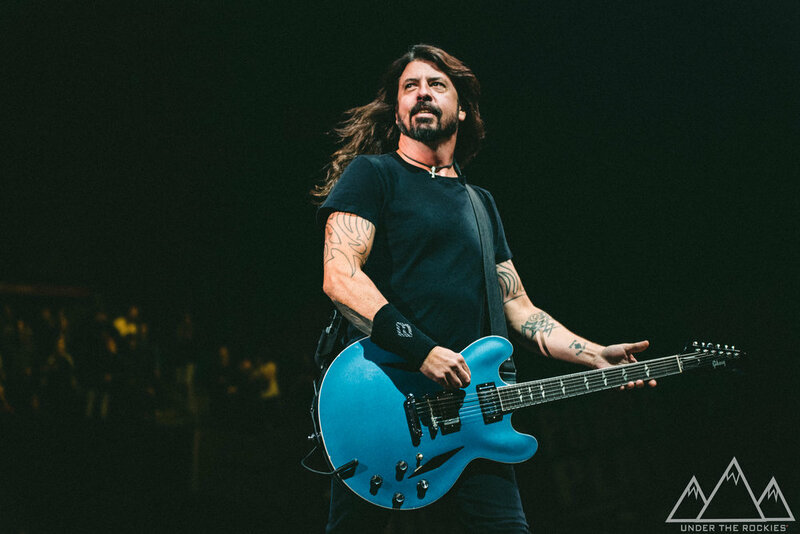 Emerging on stage with his signature hair and blue guitar, lead singer Dave Grohl looked out to the crowd with an ear to ear grin on his face. Opening the show with the thunderous “Run,” from 2017’s Concrete and Gold, the crowd erupted. Following “Run” was two other new songs, “The Sky Is A Neighbourhood,” and “La Dee Da,” which were well received by the fans. 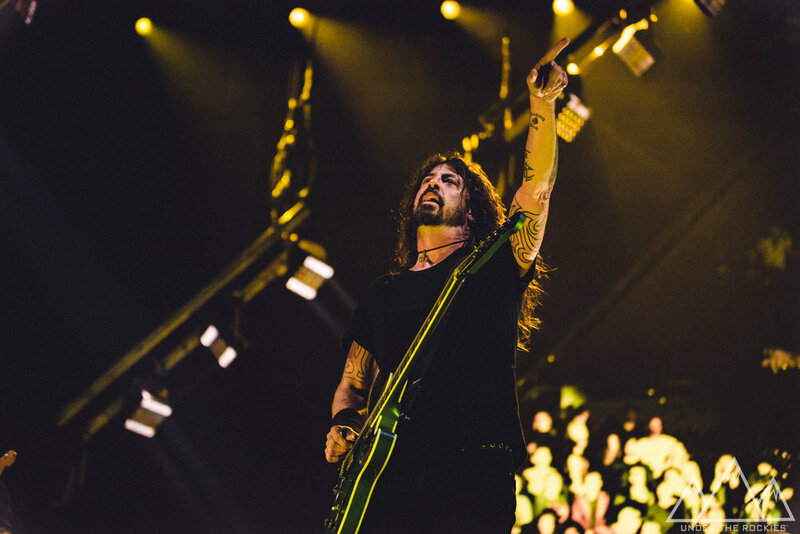 For the next three hours, the fans were treated to a show filled with the Foo’s biggest hits, as well as some covers of Alice Cooper and Queen. Despite the large scale of the show, there was little production: just a simple, diamond-shaped screen behind the band. The most elaborate element of the stage setup was the drum riser that moved Taylor Hawkins up into the air for his insanely epic drum solo. Sometimes, simplicity is key, and other times, an elaborate production really does add to the overall experience of the show. In this case, a huge production would have ruined the natural and organic feeling of the concert. One of the most striking aspects of the show was that the band knows how to genuinely have fun amongst themselves and with the audience. Forced conversation or rehearsed jokes are just painfully obvious and were thankfully absent at this concert. The genuine friendship amongst the band members and passion for the songs they were playing made for a humble show. Sure, the Foo Fighters are legends - possibly one of the last great alternative rock bands in existence, and their lyrics, music, and precision of their live show is proof of that. Dave Grohl would simply point to a section of the crowd, and they would explode into cheers. In fact, the Saddledome has never been louder. It wasn’t frantic, high pitched screams, rather, a thunderous and powerful roar, and it almost felt like an earthquake could happen at any moment. But towards the end of the night, looking out to the crowd, Dave Grohl said: “Man, I am sure going to miss this when I’m driving a mini-van to preschool at f—ing 7 am.” This simple statement made everything come full circle because there he was: Dave Grohl, the legendary musician, but also, Dave Grohl, a person. Even with all of the fans, awards, and incredible career achievements (not many people can say they have played in two of the greatest alternative rock bands of the 1990’s), it’s evident that he is just a human being like the rest of us. The band took an extended period of time during “My Hero” to highlight and emphasize their appreciation of their crew members, and it was evident that the tight-knit crew is like a family. It was as if the fans in the audience were not just fans either- they were family, too. The Foo Fighters brought no gimmicks, they just themselves, and by doing so, brought 13,000 other adoring fans into the building. When the fans sang along with them, it was as if everything - at the very least, this night - could feel this real, forever. Want to see more from the show? Check out our full gallery of images by following this link!